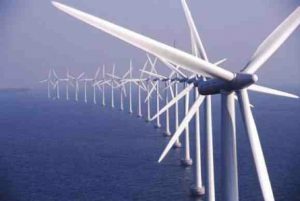 According to European wind association WindEurope, approximately 12.5 GW of new wind capacity – 10,923 MW onshore and 1,567 MW offshore – was added in the European Union during 2016, raising the installed wind capacity in Europe to 153.7 GW. New wind capacity accounted for 51 percent of all new power installations in 2016; renewable energies altogether accounted for 86 percent of new power plants installations and wind overtook coal as the second largest form of power generation capacity. Wind now accounts for 17 percent of the EU’s power capacity. Germany was the largest market in 2016 in terms of annual installations, with 5,443 MW of new capacity, 818 MW of which was offshore (15 percent of total capacity installed in Germany). France came second with a record year of 1,560 MW installations, an increase of 45 percent on 2015. The Netherlands came third with record installations of 887 MW. Four other countries had a record year in terms of new renewable energy installations: Turkey (1,394 MW), Finland (570 MW), Ireland (384 MW) and Lithuania (178 MW). Both France and Finland benefitted from supportive regulatory frameworks that helped to boost installed capacity. The boom in installed capacity observed in the Netherlands (887 MW) is largely due to offshore wind with the completion of Gemini (600 MW) – the second-largest offshore wind farm ever commissioned. remains the technology with the largest installed capacity in the EU. The share of wind power in total installed power capacity has increased from 6 percent in 2005 to 16.7 percent in 2016, overtaking coal as the second largest form of power generation capacity in the EU and remaining the first among renewables. Over the same period renewables increased their share from 24 percent of total power capacity in 2005 to 46 percent in 2016.